The government of India has banned Jammu & Kashmir Liberation Front (JKLF), taking strong action against terrorism. According to the government, the decision to ban the organisation was taken after the Pulwama attack. A total of 37 FIRs have been registered by J&K Police against JKLF. New Delhi: The government of India has banned Jammu & Kashmir Liberation Front (JKLF), taking strong action against terrorism. There have been multiple connections of JKLF leaders with terror organisations and these connections have been established by investigating agencies. The organisation is headed by Yasin Malik who was allegedly involved in various anti-national activities. According to the government, the decision to ban the organisation was taken after the Pulwama attack. 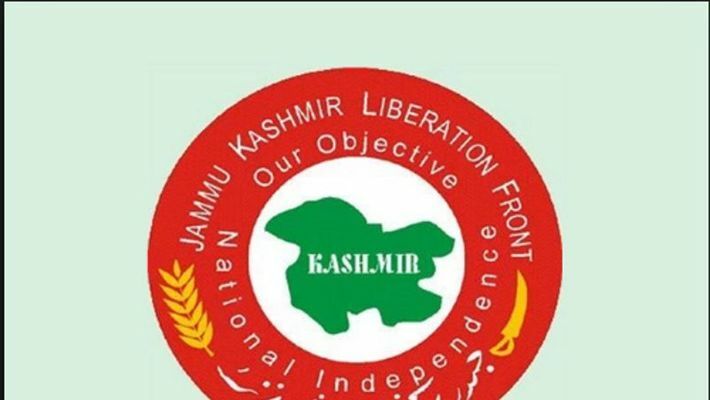 "Central Government in its pursuit of strong action against terrorism, on Friday declared JKLF (Yasin faction) as an unlawful association under the provisions of Section 3(1) of the Unlawful Activities (Prevention) Act, 1967. Central Government has followed the policy of ‘Zero Tolerance’ against terrorism and has acted strongly against terrorists. Securities Forces have been given a free hand to deal with terrorism," Central government said in a press statement. "It was made clear at that time that ‘Jamaat-e-Islami (J&K)’ is separate from ‘Jamaat-e-Islami Hind’. In 1953, it made its constitution. JeI (J&K) is responsible for the formation of Hizbul Mujahidin (HM), the most prominent terrorist organisation active in Jammu & Kashmir. JeI (J&K) has been providing full support to HM in terms of recruits, funding, shelter, logistics, etc.," the government said. According to the government, Jammu & Kashmir Liberation Front led by Md. Yasin Malik has spearheaded the separatist ideology in Kashmir Valley and has been at the forefront of separatist activities and violence since 1988. Murders of Kashmiri Pandits by JKLF in 1989 triggered their exodus from the Valley. Yasin Malik was the mastermind behind the purging of Kashmiri Pandits from the Kashmir Valley and is responsible for their genocide. "JKLF has many serious cases registered against it. This organisation is responsible for the murder of 4 Indian Air Force personnel and kidnapping of Dr Rubaiya Sayeed (daughter of the then Home Minister Mufti Mohammad Sayeed in Shri V. P. Singh’s Government). This organisation is also responsible for illegal funnelling of funds for inciting terrorism. JKLF is actively involved in raising of funds and its distribution to Hurriyat cadres and stone-pelters to fuel unrest in the Kashmir Valley as well as for subversive activities. Activities of JKLF pose a serious threat to the security of the country and are prejudicial to the territorial integrity and sovereignty of India. The organisation has been actively and continuously encouraging, feelings of enmity and hatred against the lawfully established Government as well as armed rebellion," the government said. According to the government a total of 37 FIRs have been registered by J&K Police against JKLF. CBI has registered two cases including the case of the murder of IAF personnel. National Investigation Agency (NIA) has also registered a case, which is under investigation.